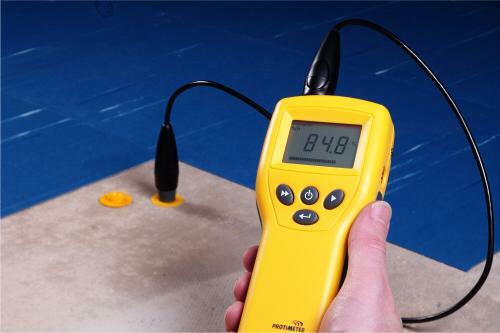 The Protimeter Moisture Measurement System (MMS) is a complete moisture measurement device for use in many different building related industries. The MMS combines pin type and non-invasive moisture meter together with a thermo-hygrometer in one state-of-the-art instrument. 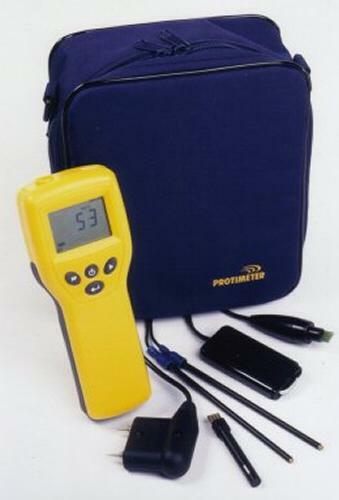 Using the Protimeter MMS moisture meter and hygrometer modes in combination gives the user a complete diagnostic capability. 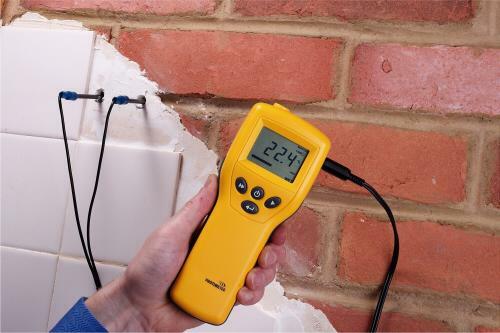 Search and measure moisture meter modes distinguish sub-surface moisture from surface moisture in materials, the hygrometer gives accurate (RH) measurements and the condensator mode confirms the presence or otherwise of condensation on surfaces. 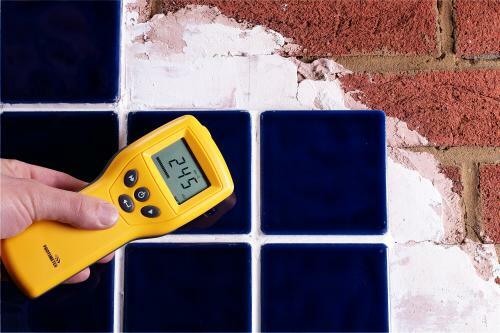 Use the MMS in search mode to identify the presence of water behind decorative finishes such as tiles and wallpaper without damaging the surface. 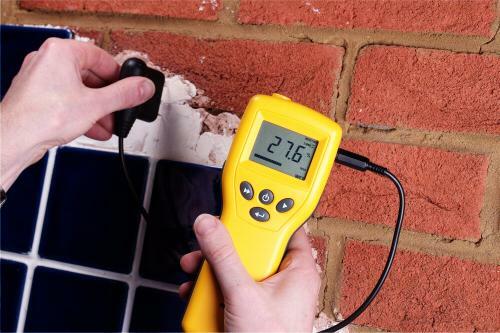 A relative scale indicates if the material is in a dry, borderline or damp condition. Use the MMs in measure mode to determine the percent moisture content of wood and the wood moisture equivalent (WME) value of other non-conductive building materials. Deep wall probes are used to measure the WME levels at depth in walls for monitoring or diagnostic applications. The MMS has the ability to log and store up to 1000 results with time and date stamp. Comes complete with software to download into windows based PC and Chart and graph. In hygrometer mode the MMS measures the relative humidity (RH) and ambient temperature of environments. 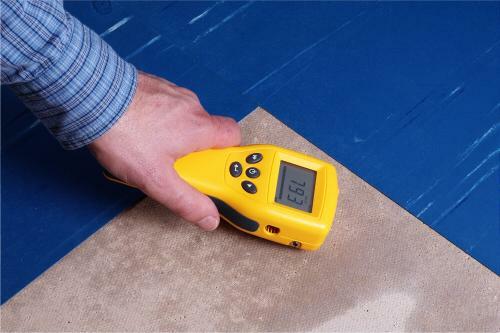 The Hygrostick can be embedded in walls or floors to measure the materials' equilibrium RH value. The condensator mode is used to confirm the presence - or otherwise - of condensation on surfaces. The instrument displays the difference between the dewpoint temperature and the temperature of the surface against which the temperature sensor is held.